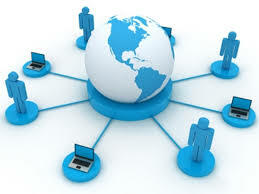 Internet is the ultimate communication tool to connect your business with the global market. A reliable internet connection opens the enormous window of opportunities in front of the businesses. As the businesses grow, internet plays the most vital role to keep the profitability upwards. Brilliant believes that access to Internet actively participates in building the core competence of your business among the competitors. So, we focus on delivering a business-critical performance with high-speed and reliable internet connectivity. Our carrier-class, resilient network provides the customers with “Always on” connectivity. Brilliant, backed by Intercloud has peered up with Tier-1 International and domestic service provides to provide its customers fastest access to the global network ensuring redundant connectivity. Customers can get high-speed, reliable and customizable bandwidth as per their requirement. Besides, Brilliant’s highly skilled data network team is ready to assist its customers throughout the service installation process. Subscription to Brilliant’s business internet service provides customers the access to a vast number of options to get benefit from its hosted services as their business requires. High speed, Secure and Reliable Bandwidth; Brilliant focuses on redefining your internet experience by delivering high-speed bandwidth with committed QoS parameters. Meet the increasing demand of Internet Access and Data Sharing; this is done by delivering high speed bandwidth across the organization. Service Level Agreement with each service; all our services are backed with well-defined service levels with different pricing. Customers can choose the best suitable one for their business among many options. Handle resilient business need; Brilliant’s scalable and robust network architecture enables to provide quicker up-gradation to meet the growing internet requirement of its customers. Round the clock Support Service; Brilliant has a highly skilled and efficient team of engineers to assist customers starting from the service installation throughout the subscription tenure. Access to Cloud Hosting services; Customers can get access to a number of hosting services which comes in bundled services along with subscribing internet bandwidth.